Specialising in group personal training we have with the most extensive, family friendly and flexible timetable in Bayside available for you. No matter if you are a beginner or advanced, our training sessions cater for all fitness levels and you can guarantee our group is extremely friendly. We love being Bayside and we love the outdoors. 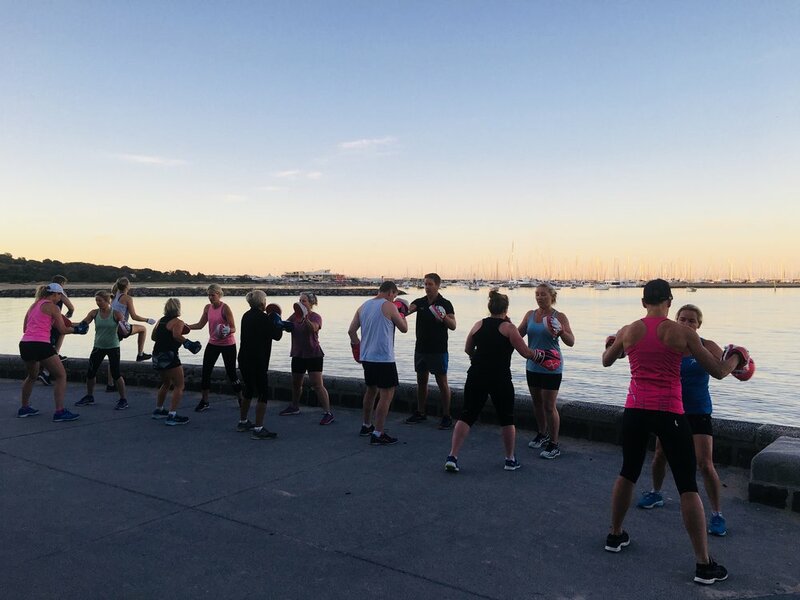 This is why our timetable allows you to train at picturesque Hampton beach foreshore, Hampton life saving club and have our indoor strength training sessions at Recreation Hampton. Giving you a well balanced routine of outdoor and studio conditioning training each week. The most extensive, flexible and family-friendly group personal training timetable in Bayside. Membership options available for individual adults, teenagers and the whole family. access to all MSHF group personal training sessions each week at Re-creation, Hampton lifesaving club and Hampton beach foreshore. access to Re-creation Trackside health club outside of MSHF training sessions. no ‘lock-in periods’ ever; no maximum suspension periods or fees; and no bookings required. Family memberships - SPECIAL $99 weekly! Three is not a crowd! It is motivating and keeps you accountable. Join our training as group of three friends for a significant saving and full access to MSHF membership benefits. Are you a local Bayside business? This is a great team building membership to promote wellbeing, community and fun within your workplace for up to 4 team members. Our partnership with our good friends at Re-creation Trackside Hampton means you never have to worry about missing a session. If you are busy and unable to make any MSHF group personal training sessions you have the opportuniy to utilise and access the brand new Re-creation facility outside of MSHF operated sessions.